Mspoweruser reports that Microsoft is looking to make Cortana more accessible on Android smartphones with this feature. The company is testing it with beta testers already, and looks to make it commercially available in the upcoming update. The report says that once you update Cortana and open it, it will ask you for permission to enable 'Cortana on the lock screen'. By Clicking on 'Add Cortana to my lock screen', you will thereby create a shortcut for Cortana access on the lock screen. Once all of this is done, the circular Cortana logo will show up at the bottom of your Android lock screen, and by swiping left or right will start the digital assistant immediately. 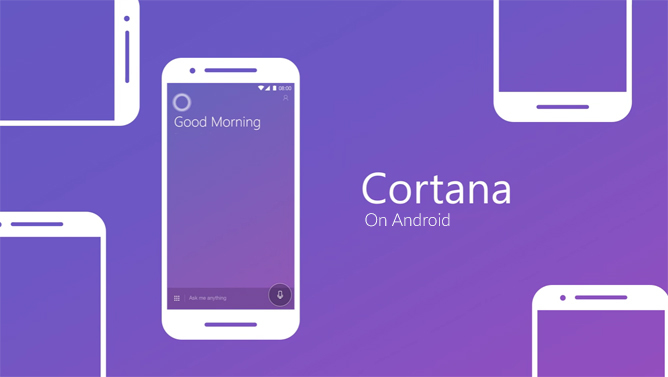 This is another sly way Microsoft looks to increase Cortana's presence on other ecosystems. With the absence of Google Assistant on all Android smartphones, this might not be a bad option for all those who miss a digital assistant on their device. It's important to reiterate that this feature is currently being tested with beta testers in the Google Play. Because this feature is in the testing phase, it could arrive in the stable app most likely in the next update. However, if you can't wait to use this feature, sign up for Cortana's beta testing here, and begin fiddling with it immediately.